It’s that time of the year again – the credit card comes out, the ridiculous self-justification starts (“I need these shoes because… I HAVE FEET”) and the scramble to get a deal leads to you spending an hour glued to your computer, in the hope of saving a few pounds. Personally, I love Black Friday, Cyber Monday, Cyber Weekend, Black Friday Week – whatever the shops are calling it these days. It seems to have extended well past just one ordinary day and into a week-long extravaganza of red signs and “REDUCED” stickers. I use the time to try and be organised by buying Xmas presents in advance. And, I’d be completely lying if I said I didn’t treat myself at the same time. Spend to save? It’s my new mantra. I’ve saved you the hassle of trawling for codes – here’s a summary of the best bargains and deals to look out for. STARTING TODAY. Lots of deals going on at Superdrug, including free next day delivery to store or free standard delivery for orders over £10. Personally, I use this time to stock up on things like cotton pads and eye makeup remover but my eye fell on the new Nicki Minaj Onika perfume – if only for the crack of it all. I mean, look at the bottle – trust the Minaj to make her perfume bottle an actual bust of herself! Superdrug are doing it for HALF PRICE, so it’s only £20. Ideal for any Minaj fan, or even just a bit of a giggle. i’m a big fan of this Workout Wonder Ball £25 (before discount). Okay okay, I’m not a fitness buff – I hold my hands up here, I basically used it after I did a free barre class THIS ONE TIME but it really worked the next day. 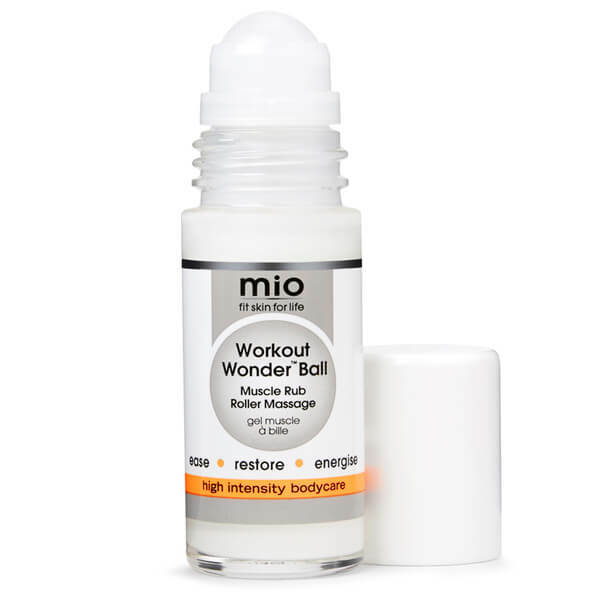 Just rub it onto sore muscles and the aches are gone. Got one for myself, I was that pleased with it. Got my eyes on these bad boys! These High Sequin Stretch Ankle Boots are reduced to £59. I want. I want. Super-reliable and my absolute online go-to. ASOS are doing 20% sitewide with code GOGOGO – ASOS addicts may have already spotted this as it went live this morning at 6am. I’ve already invested in some new gloves (self-justification: it is winter and err… I have HANDS!) – the kind that have a cuff so you don’t get that cold draft of wind blowing up your sleeve. Genius!! Pieces Leather Gloves With Cuff £22.40 after discount. My favourite deal-day for Boots is normally Boxing Day (where they do 50% off all their Xmas sets and I go a bit mental..) However, the Black Friday deals this year aren’t half bad y’know – they’re very similar to what I’d see on Boxing Day. My pick would be this Soap&Glory EXTRAVA-GLAM-ZA, which was originally £50 and now £25. It comes in a teeny house for gods sake – I MUST HAVE IT. This brand is super high-end, super luxe and super too expensive for me normally, but I LOVE IT. It’s generally only reserved for birthdays but if you spend £100 you get a FREE gift worth £89 – from now until 30 November. Use code FESTIVEGIFT. And it’s not rubbish gifty, mini-size garbage that you sometimes get with other GWPs. It includes their snake venom wrinkle-line freezer thing (NB actual product has a fancier name than this) and bee venom cleansing balm plus two other skincare supers. There is also a great Black Friday promotion tomorrow (that I cannot tell you about, boo!) but it is worth checking out! For my ultimate Rodial must-have recommendations see my post here. If I had to pick one? It would be this Instaglam Contouring Powder £52 – it’s pricey but the perfect shade I’ve been searching for. As I grew nearer to 30, than 20, I’ve really started to take a closer look at my skincare. I’m really into natural skincare at the moment and Caudalie is one of my fave brands. They’re doing 20% off sitewide from tomorrow until the 29th. I would really recommend the iconic Beauty Elixir (also known as Eau De Beaute) but I feel like that’s a bit of a cop-out since it’s a huge cult product. So, I’d also recommend the Vinosource Moisturising Sorbet. I know it sounds like a dessert but it’s great for quenching dehyrated or sensitive skin – this INCLUDES oily skin with dry patches, or oily skin that feels tight and itchy on the forehead. So, Boohoo are playing it safe like Topshp and stuck to a boring “Up to 50% off” line but they are chucking in free delivery with the code FREEDEL. They’re also releasing special codes throughout the weekend, depending on what time you’re shopping the website. Those devils, they really know how to keep us on the site! I went to their SS17 press day last week and Boohoo stock is really just getting better and better. They do a fantastic range of beautiful dresses that I have zero occasions to wear for. OH FIRST WORLD PROBLEMS. I like this Boohoo Boutique Lola Star Print Maxi £35. I’d pair this with a black turtle neck and wear on Xmas day. A couple of Bucks Fizz later, I might even wear it without – W-I-L-D, I know. Nip & Fab – cannot tell you before Friday but it is GOOD. Did you plan ahead before Black Friday, or are you just gonna click around and see what you find? Are you even bothered by Cyber Week? Instagramming those holiday pics? New Mobile Data Rules in The EU!